How do you use anomaly detection tools to protect your network? IT teams need to have a security incident response process and, ideally, at least a part-time incident detection and response coordinator. Teams that have any form of detection in place will receive alerts and must have an alert triage process. 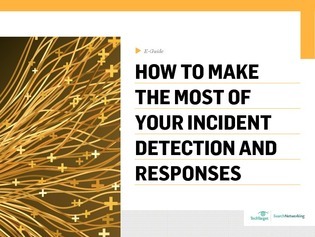 In this e-guide, learn from Gartner analyst Anton Chuvakin and Drew Conry-Murray from Packet Pushers, about incident detection and response processes that an organization needs when starting out.